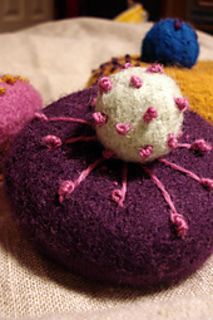 Large pincushion: 5¼” diameter after felting. 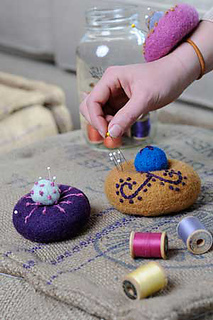 Wrist pincushion: mulberry or plum (MC), shale or willow (CC1) and curry or mulberry (CC2), 1 skein each. 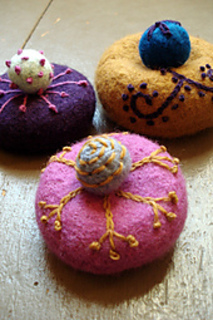 Large pincushion: curry (MC), marine blue (CC1), and plum (CC2), 1 skein each.